February 14: Here's the painting that groups 1 and 2 will explore today. Here's the painting for groups 3 and 4. February 13: We now meet in Maguire 103​! February 4: Click here to download Fenske and Kala, "Climate and the Slave Trade," and here to download Desjardins, "Neo-Inuit strategies for ensuring food security." Finally, click here to download my draft article, "Climate Change, Whaling, and Conflict in the Seventeenth-Century Arctic." February 3: Remember: your first integrative day is on Tuesday, in the Healy Family Student Center's Social Room, and your ship logbook essay is now due on Thursday, February 7th. January 24: Here's a link to a map of the Norse settlements in medieval Greenland. January 21: You can now download our lecture PowerPoints. A microscope slide and a cross-section of a young American Basswood stem. Find the part of the slide that shows tree rings. Use the cross-section I’ve given you as a guide. 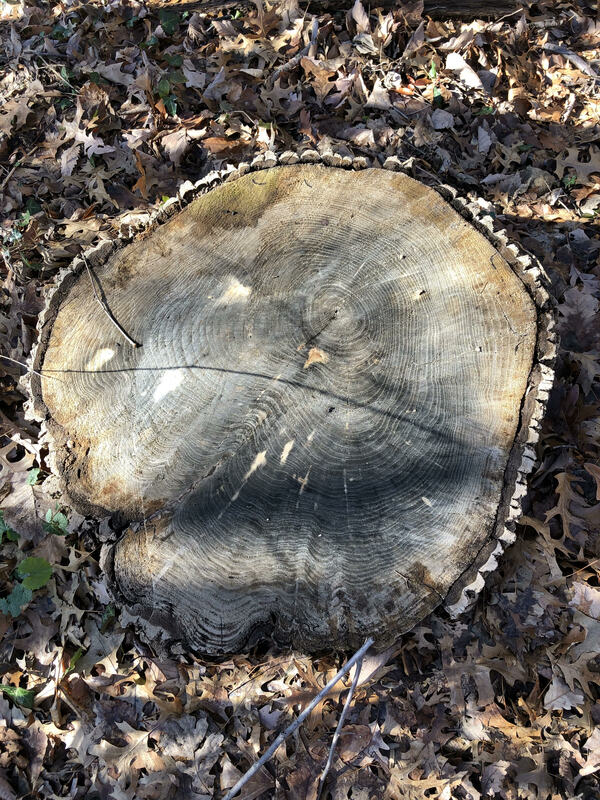 After finding the tree rings, answer this question: what do they show us? You may need to look up something about this tree. A cross-section of a much older oak tree. Tell me: what data can we get from this cross-section? 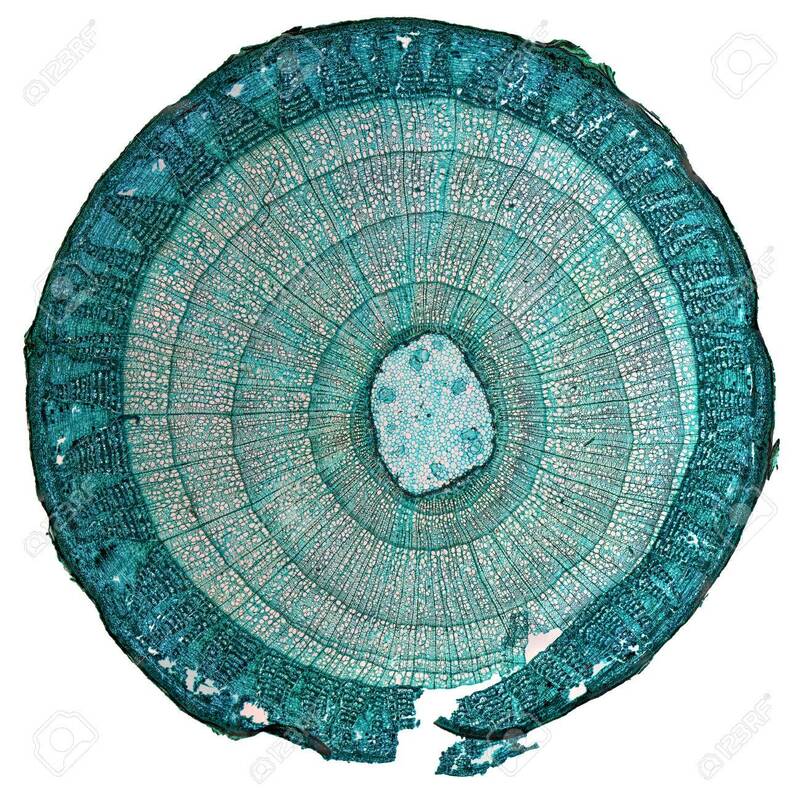 What does this particular cross-section suggest about the history of climate during the life of the tree? The North American Drought Atlas and the Old World Drought Atlas show Palmer Drought Severity Indices based on tree rings. Play around with these tools, and then consider how we might use them to link climate change to human history. Think carefully about their potential and their limitations, based on what we’ve learned in our readings. A ship logbook kept aboard an English warship in and around the English Channel, from 1686-1689. I’m giving you only entries from August to December, 1688. A recent guide to nautical terms used in the seventeenth century. Terms about wind velocity are translated into the modern Beaufort wind force scale. Use both the logbook entries and – if necessary – the dictionary to tell me: what information about weather trends can we get from this logbook? What exactly does the logbook reveal about weather in late 1688? Consider making a chart of weather records in the logbook. 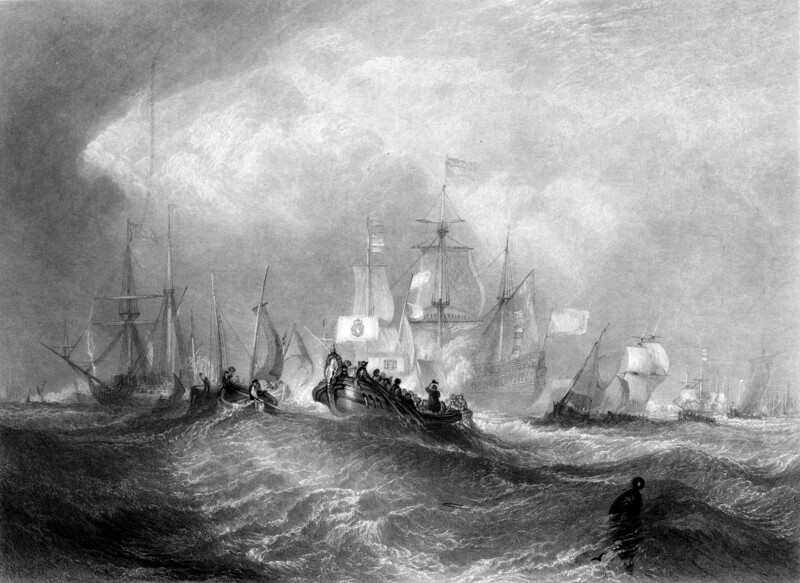 I’ve also given you a sketch of the landing of William of Orange on the English coast in November 1688. Tell me: what’s this all about? Can we link the event to the weather trends in the ship logbook? Are there any other human events described in the logbook that we may consider linking to weather? Finally, how can you imagine that we might connect possible relationships between weather and human activities to climate change? Visit the Climate Reanalyzer, a powerful online resource hosted by the University of Maine. Now, figure out: what is climate reanalysis? Why is it so handy? Next, visit the Environmental Change Model at the Climate Reanalyzer. At the top, the Global ΔT slider allows you to explore how Earth changes as its average global temperature changes, both in the distant past – during the Last Glacial Maximum – and in the projected future. Tell me: what are some of the biggest changes you can identify? How can you imagine that human populations might have responded – or might soon respond – to these environmental changes? Explain the limitations of the Environmental Change Model. How useful is this resource, really? Think carefully about feedbacks. If you have time left, scroll through the Climate Reanalyzer and find one simulation that you think could be especially handy for attempts to connect climate change to human history. January 16: You can access your Slavin reading for tomorrow by clicking here. I've also uploaded a new version of our syllabus, with revised dates and a short introduction to the Core Pathways Program. January 8: You can now access your January 10 readings from the Palgrave Handbook of Climate History ​by clicking here. October 30: the draft syllabus for our Spring 2019 module is now online. Have a look!